Thank you for volunteering. We are an ALL volunteer program. 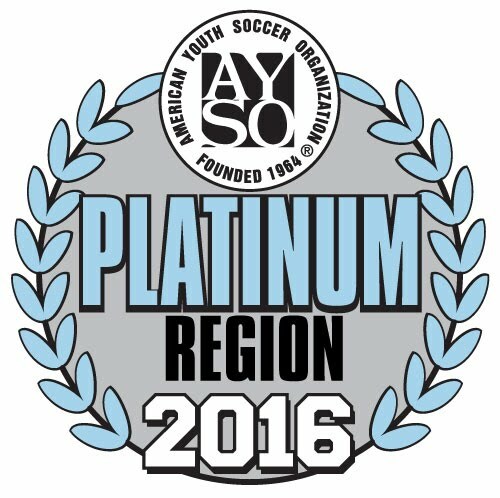 We are an AYSO Platinum Region. This is accomplished with the support of our volunteer parents; coach, referees, field setup, commissioners, etc. The region needs the support of each parent to keep the program running. Below are the tasks that are needed needed to run the quality soccer program we are providing in the community. Each team provides volunteers to perform the various jobs that are crucial to operation of the program. Complete a volunteer application and the required training. Details are provided at the Become A Volunteer page. Schedule the time to volunteer. Team Volunteer Point Report (for other jobs) - (Snackbar, Parking Drop-off, Equipment room, Field Monitoring, etc). Teams that meet the requirements below are eligible to participate in the U10 - U19 division playoffs.